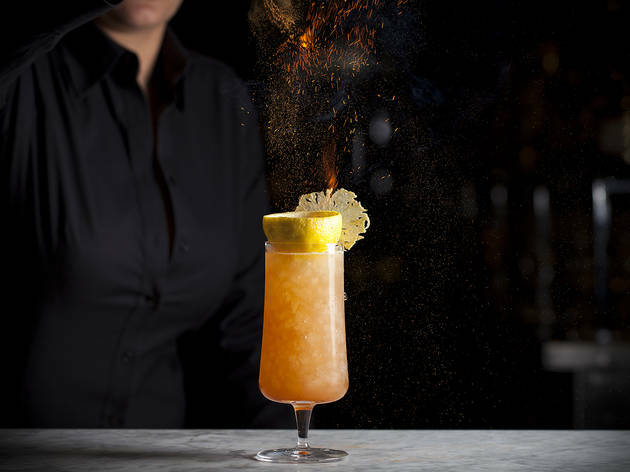 Part science, part sorcery and all skill, The Fiscal Agent is serving cocktails unlike any other in the city. 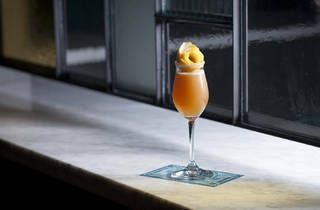 Julian Cox has lent his name (and his impeccable cocktail craftsmanship) to some of the most celebrated restaurant bar programs in LA: Redbird, Bestia, Barrel & Ashes and the short-lived, dearly departed Brilliantshine, to name a few. 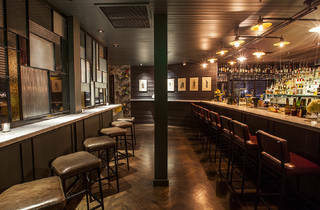 At his first solo venture, however, Cox’s drinks take center stage, and the result is predictably miraculous. For cocktail worshippers, The Fiscal Agent feels like sacred ground; a hidden temple in which liquid divinity is expertly concocted and salvation is but a few sips away. 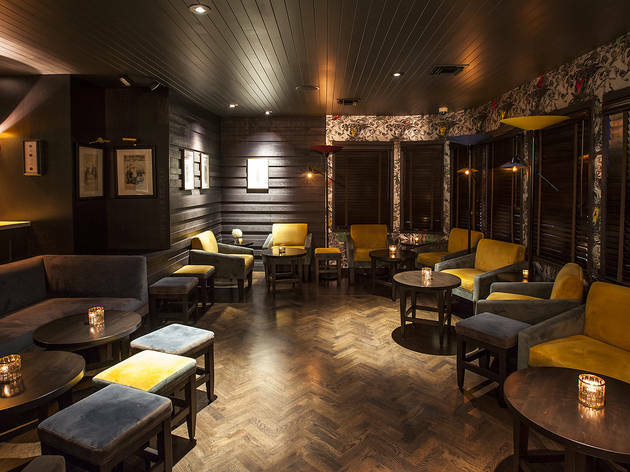 Lodged above Barrel & Ashes in Studio City, the bar feels a world away from Ventura Boulevard, with an atmosphere that invokes the sultry sophistication of a private club in London or Paris. 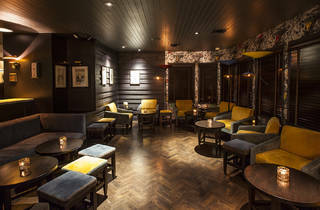 An interior by Ricki Kline (The Varnish, The Normandie Club) plays a big role in this, with black paneled walls, chevroned wood floors, antique portrait prints and a mosaic of stained glass bringing a blend of old world and contemporary aesthetic to the intimate seating area. Cox isn’t the only ace behind the bar, by the way. Eveleigh’s Dave Kupchinsky, Sotto’s Nick Meyer and Bestia’s Kristina Howald have all brought their collective genius to a cocktail menu that is innovative, unique and, at times, genuinely surprising. 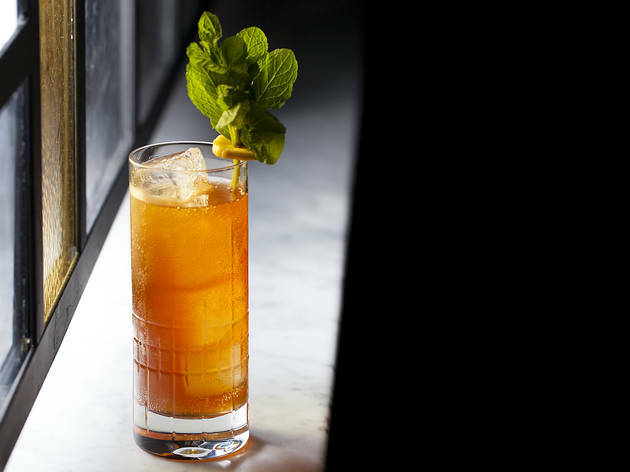 Cox and his cohorts may draw inspiration from the classic cocktails of yesteryear, but their ingredients and techniques depart so boldly from the originals that you can never really expect what you’ll get when you order it. Part science, part sorcery and certainly all skill, what The Fiscal Agent is serving is something approaching paradise. Good for: A special treat for your cocktail savvy friends or significant other. Just make sure they deserve it (ie: ditch the vodka coke crew for this one). 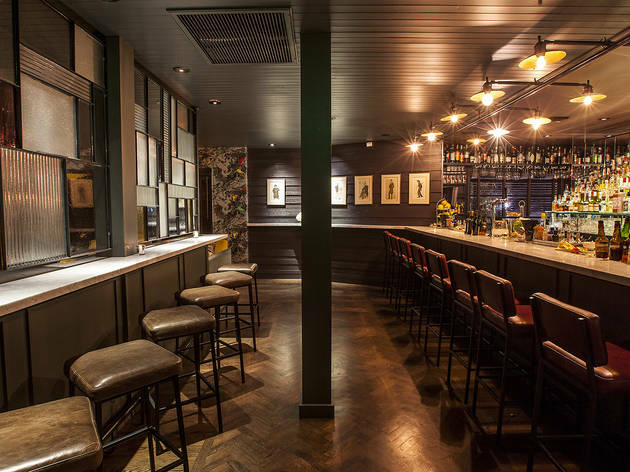 The scene: A booking system and table service (replete with complimentary bubbly to start) create an exclusive, highly-personalized experience and an environment devoid of overcrowding or competing for the bartender’s affection. Don’t be turned off by the reservation policy—it takes two minutes to book ahead and there’s no attitude at the door. In fact, from the bouncer and the hostess to our server (who, by the way, demonstrated a knowledge and passion for the cocktails usually reserved for their creator), everyone at The Fiscal Agent was as lovely and welcoming as they could be. Additional kudos for a sweet soundtrack featuring funk, Motown and old school rock and roll. 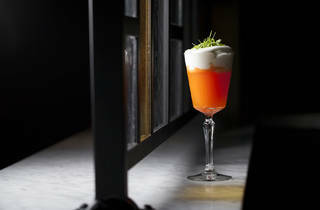 Drink this: With its combination of carrot and white rum, the Silly Rabbit ($11) is one of the most whimsical cocktails we’ve ever had. 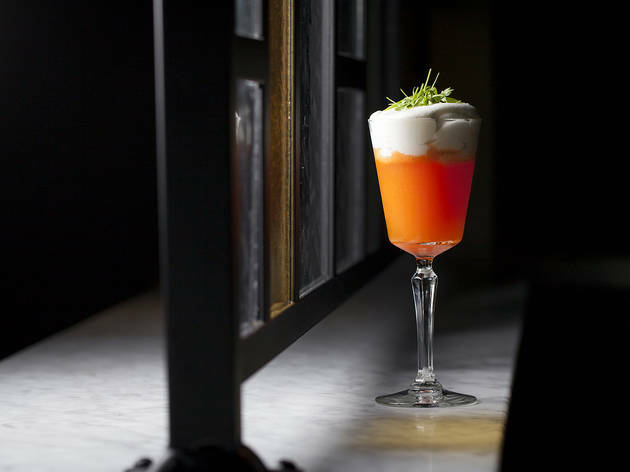 The carrot, combined with hints of coconut and banana, lends a subtle sweetness and earthiness to the drink, while a deliciously creamy kaffir lime foam on top serves as a built-in dessert. We could definitely survive a juice cleanse on this stuff alone. The Banana Highball ($11) also incorporates tropical flavor, although in a completely different way. Bananas are roasted with rum, then separated and clarified in a centrifuge. 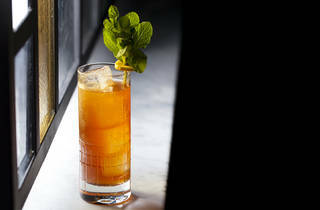 The resulting liqueur is mixed with rye whiskey, acidulated seltzer and tiki bitters to create an effervescent, amber concoction that is sweet but not syrupy. The Crusta Rhymes ($12) blends Spanish brandy, earl grey, muddled lemon, Palo Cortado and Kirschwasser for a bright, citrusy tipple with unexpected caramel, nutty qualities, while the Federal Preserves ($14) wins best presentation for its display of tabletop pyrotechnics. With cured nectarines, allspice, Amontillado, caramelized pineapple, Sauvignon Blanc barrel-aged gin and cinnamon, it’s a mélange of wintry spices served tiki-style with summery sensibility. Our tip: For $13, you can opt for the “Bartender’s Choice,” but if you really feel like living dangerously, ask about the “secret menu." Wow!!! The fiscal agent probably has the best mixologist in town! Each drink is a piece of art. And we cannot forget to mention the very cool, discreet set-up as well. They make you feel like your presence is exclusive. From the door man calling the hostess, to the hostess walking you through a narrow alley and up the stairs, to the grand entrance of what resembles a prohibition-style bar. This little place is one to put on your LA Bar Scene Bucket List. 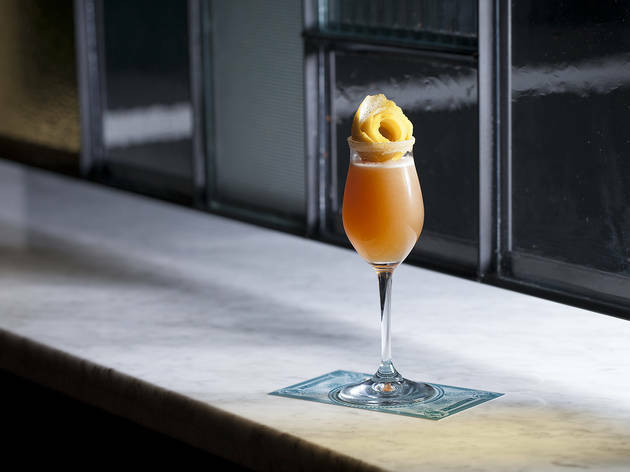 There are so many fantastic bars making exceptional drinks in Los Angeles, which makes a place like The Fiscal Agent even more exceptional. The cocktails are creative and perfectly balanced. The Silly Rabbit, which makes use of traditional Thai flavors, may be one of the best cocktails I've ever had.